Through the first 32 games of the season, the Colorado Rockies are currently in second place in the NL West with a record of 17-15. While this team has had to play through some early high and low points, like all teams do in the course of a grueling 162 game season, there are plenty of reasons to believe the Rockies will contend for a division title in 2018. First and foremost, the Rockies’ starting rotation seems to have found its footing much earlier than in previous seasons. Over the last eight games, Colorado’s starting rotation has an ERA of 1.68. What’s more, the Rockies have gotten at least seven innings out of the starters in each of the last four contests. As it currently stands, the Rockies as a unit own a combined ERA of 4.32 for the year. If the season were to end today that would be the lowest combined ERA since 2010 when the Rockies finished the season at 4.14. In 2009, the club finished at No. 10 in the league with a combined ERA of 4.22 and ultimately secured a spot in the playoffs for the second time in three seasons. Digging deeper into Colorado’s 2009 postseason run, the most glaring statistic was how well the starters handled hitters when there was traffic on the bases. Four of the Rockies starters recorded a WHIP of 1.38 or lower and nobody finished above 1.40. In comparison, when the Rockies went 64-98 in 2012, not a single starter recorded a WHIP below 1.40 and four pitchers finished above 1.50. The 2018 Rockies would currently put all of those teams to shame. Despite rocking an ERA of 4.99, Jon Gray has handled situations with runners in position fairly well with a WHIP of 1.31. A large reason why the big-armed, Oklahoma native has been able to work his way through jams has been his ability to get hitters out with the strikeout. Gray currently leads the club with 41 Ks. 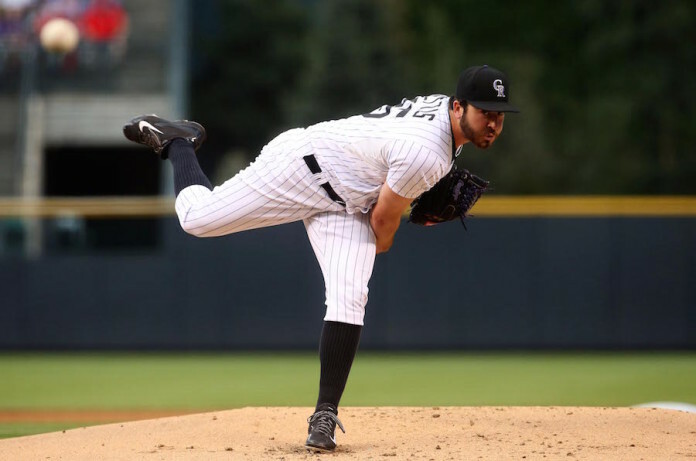 Chad Bettis (1.04) and Kyle Freeland (1.26) have been even more impressive in terms of WHIP, especially Bettis, who has been the backbone of the Colorado rotation for the last year. 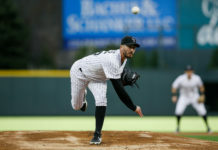 Obviously, there is still plenty of baseball to be played and much can change in the span of a few days, but through roughly 20 percent of the season, the Rockies pitchers have performed well enough to compete for a postseason berth. 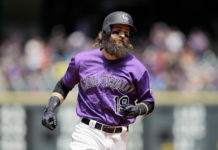 In an extremely hitter-friendly ballpark like Coors Field, where the air is thin and the outfield gaps are huge, having the ability to consistently get quality performances from the starters has been a game-changer. There were massive expectations for the bullpen in 2018, and to the credit of the relievers, they have come up big for manager Bud Black. Adam Ottavino and Jake McGee have been excellent in the seventh and eight innings while Wade Davis has been lights-out in the ninth inning. 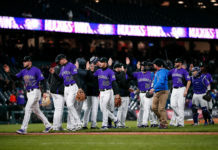 But without a doubt, it has been the starting rotation that has come up huge for a Rockies club that is still trying to get the bats consistently rolling. Pitching has always been the key to success for this franchise, and now that they finally have it, there is no reason to believe this team should not be competing for a division title.